We’re Nice! 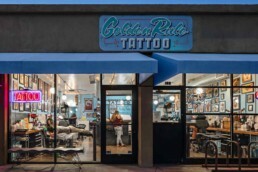 Golden Rule Tattoo is Arizona’s #1 Tattoo Shop! 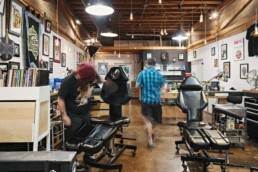 Golden Rule was voted “Best Tattoo Shop” and has housed the winners of “Best Tattoo Artist in AZ” for the last 5 years. Come down and discuss your tattoo idea with one of our great artists at either of our convenient locations. We are dedicated to your safety as well as to ours. Our artists are trained in blood borne pathogens and sterilization procedures. We voluntarily exceed industry standards. We are happy to answer any questions you may have before, during or after your tattoo. 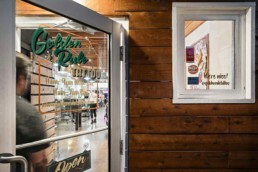 From the moment you walk into Golden Rule our friendly staff and tattoo artists will help to make you feel at home. We understand that some tattoo shops can be intimidating. Our dedication to customer service is what helps to set Golden Rule Tattoo apart from the rest. 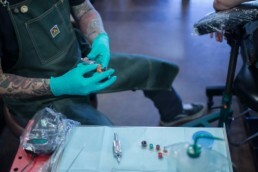 With 2 great Phoenix locations to choose from and over a dozen world class tattoo artists, Golden Rule Tattoo will help turn your tattoo idea into reality. Give us a call or come visit us to see why we are the top rated tattoo shop in Arizona. We want to be your tattoo shop!